Writing Website or Blog properly and in meaningful way is important because it directly affects the Bounce rate. To minimize the webpage bounce rate we need to consider several things while writing article or tutorial. We can lower the website bounce rate by attracting the users on the site such that they can visit our website’s other pages also and gives time to read the content on the site. Follow the below best practices to reduce the bounce rate of website. To attract the users to the website we require the strong and attractive user interface and also requires the written article to be more interactive and which best describes the solution to the problems and also focus on the quality. The more step-by-step, meaningful and descriptive page, lower the bounce rate. Because visitors gives some time if you focus on quality content and also visit some other articles on your blog. I recommended you to use Images and videos if required because image best describes the content visually and helps the visitor to be understand the content better. So, in short Users give more time on your blog = Less Bounce Rate. Site Interlinking is the best way to do SEO. 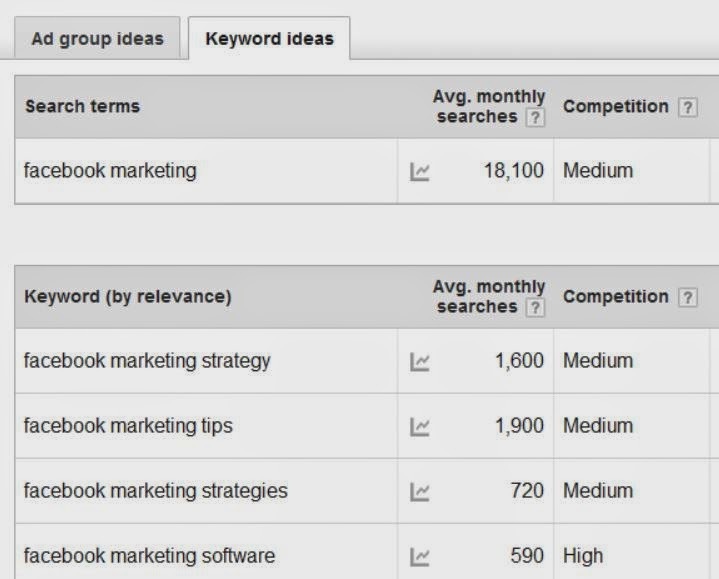 Along with that if you want your visitors read content and understand it from scratch then use inter-linked keywords. Suppose you mentioned keyword which is new then use interlinking of that keyword such that if user click on that linked keyword, he/she will be redirected to the other page from site which best describes the keyword. Now after reading and understanding the keyword user came back to the original article and resume with further reading. 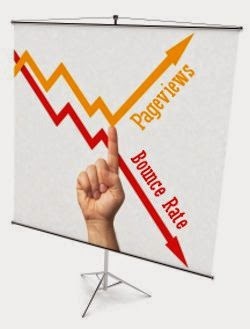 The more returning users to the site = lower bounce rate. Social networking sites plays vital role to gets more user engagements and more comments on your content. Share your Content on Facebook, Google+, LinkedIn, Twitter etc. to get more views and you’ll get traffic to website by real peoples. Add interested people to your network by niche of your content. Use YouTube to get more User Engagement to Your Website. Record your Own Video and Be Interactive to your audience to get more Traffic. It’ll helps to get more unique visitors and returning visitors as well. So your website becomes popular because you’re sharing quality content to your interested audience and getting more returning users to your site which in turn lower the Bounce Rate. People using Auto surf site to get higher page views and visitors to their site but doing so affects the website bounce rate because in Auto surf program, pages of the website automatically closed after specific seconds and sometimes your webpage not even loaded properly and gets exit. So users are not actually reading the content, Auto surf does all that things and in few seconds your web page visited and closed automatically at specified interval which maximize the bounce rate and in turn affects the Ranking of website. Thanks and comment below to discuss. If you want your site to be indexed better and improve possibility to be clicked by the users more frequently then you have to consider the recommended steps. Give the title tag <title>Your title goes here..</title> in well form such that it will available in the organic search results by search engines. Give the title meaningful to the page contents because when user type in the search engine for the specific search, search engine crawls the data and search for the title which best fits the search keywords. so it is important to set the small best page title. Search description is the small snippet which appears next to the title in the search result. You can use the title word inside the search engine snippet and describe it related to contents in 200-300 characters. search engines also matches for the search description words and which include all the words and the site which updated more frequently, get indexed first. Your site Permalink URL must be meaningful and must not contains the crappy stuffs like “dhfjd/32f.html” It must be Well Formatted Like “Posts/Get Indexed by Google.html”. The better the URL parameters the more chances to be indexed. Choose the url which is easy for the search engines and the users to be understand. It is important to arrange the contents of the site in more meaningful way from root directory. Root contains all the pages like our tabs in the blog How-To, Security, Linux, Windows, About, Contact and all those are further divided into sub categories. Limiting No. of Posts in label pages is also important to minimize the page load time. Several website provides the sitemap creation facility. create your own site map for the site and use the Google webmaster Tools to add the sitemap and link it. Remove the pages from search results which shows 404- not found error on the webmaster tools after linking. After uploading the image on the website name it with properly and also use the alt-text, which is the text shown on the image which display the image description if image is not fully loaded if the internet connection is slow. Search engine also crawls the web based on the text on the image and index better. Better the image description having the more chances to be indexed in Image search. It is important to highlight the data such that it becomes easier for the search engine to understand the content in more meaningful way. Web Data Highlight gives you the more guide how data highlighting works and how to do it. Follow the above mentioned steps and you will find your site better indexed and it’ll get organic search traffic in few days. Hope you enjoyed. comment bellow if you found this article helpful. Highlighting your website data in the meaningful way such that the Google crawlers can easily understand what your site is about and what are the importance of contents. Google Webmasters Tools allows you to organize the data in the structured manner. Go to the Webmaster Tools. Add your site or blog to it. You can choose www or non www version of the website. Add both if possible for differentiating both the results. Now go to the Search Appearances – Data Highlighter. You’ll find the button Start Highlighting. Click on it. Add the any URL of your blog post. Select the type of the information which you want to highlight. You can select it according to the category of your website. Select option if you want to Tag only single page or page others related to that. Now highlighter allows you to Highlight the contents of your site. On the Right panel you’ll find the Article options like Title, Author, Date, Image, Category, Rating etc. Now on the left side on your article page start selecting the content and it’ll allows you to Tag. As you select and tag the contents, it’ll be available on the right side panel. Note : Highlight the contents in the relevant and more meaningful manner such that it becomes easy for the Google crawlers to understand the contents for better indexing otherwise your site might not get better indexing in search result. Select Title, Image, Author, Rating and Date Properly. As you organize the contents in meaningful way the more chances to be quickly indexed by Google. After completion of highlighting process the webmaster tools creates the related page sets and you can verify the page sets for rest of the highlight process. Highlight each URL correctly and remove errors if any. Publish the Page set and you are done. Google crawling the site more frequently and as it re-crawls your site, the contents will be available in search results. Along with adding sitemap to the Webmasters Tools, it is important to organize the data in the format understandable to the Web Spider for better SEO. Also see Recommendation for better website SEO for newbie blogger.